In its almost five decades of existence, Flanders Festival has established itself as one of the most prominent cultural events. In addition to countless cathedrals, abbeys and belfries that provide a unique setting for musical events, there is a tourist infrastructure of international appeal, second only to the acclaimed hospitality of the Flemish people. Between June and December, interested visitors are welcome to over 550 concerts in more than 80 cities and communes. Thanks to competitive admission fees and a host of dynamic events like “Dorp op Stap” (Village Goes Culture), “HouseMusic”, “OdeGand”, “Living Room Music” in Brussels, or the city musicians’ festival in Tongeren, even youngsters feel attracted to this festival. The main ingredient for the European clout of our dear Festival are first and foremost the clearly-defined themes. Each year, thousands of early music aficionados gather at Laus Polyphoniae, a high-profile festival in the month of August that AMUZ (Flanders Festival-Antwerp) has been staging since 1994, with a careful selection of 15th- and 16th-century music by one composer, or centred on a set theme. Bruges has become famous for its international “Musica Antiqua” competitions. Bruges’ exceptional buildings and concert hall play host to a theme-oriented, creative programme. At the beginning of september Brussels is busy preparing its fourth edition of KlaraFestival Flanders, Flanders’ youngest and first radio festival, which will take place at KVS and the Palais des Beaux-Arts (BOZAR), from 12pm until midnight during a fortnight. Top-notch international orchestras and soloists, either with or without the help of the finest Belgian musicians, directors, actors and artists, are eager to prove why this leg has everything to become the Festival of the future. In September, Flanders Festival moves on to the historic sites of Ghent, with its magnificent St. Baafs Cathedral, its new “Handelsbeurs”, the splendid opera house and the somewhat mystic “Bijloke” site, not to mention those countless surprisingly pleasing locations on the city’s 19th-century belt, or the 43 cities and communes of Ghent province. 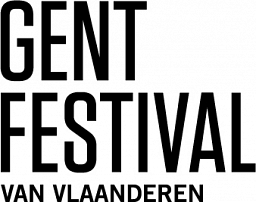 Tongeren and the Haspengouw area play host to the Festival’s Limbourg leg, aptly labelled Basilica-Flanders Festival. 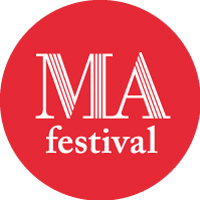 Launched in 1957, this Festival chapter will celebrate its 50th anniversary between 12 May and 15 July 2007. Special attention will be devoted to both the musical legacy and up-and-coming musical talent. 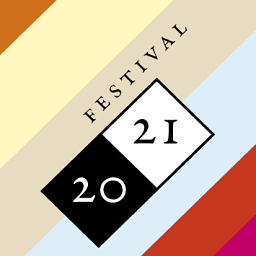 Basilica-Flanders Festival is also the place to be for the castle concert series, with this year’s highlights at Heks (21 June, laureate of the Queen Elizabeth Competition) and “Old Music Day” at Alden Biesen (24 June). True to its revered tradition, Flanders Festival-Mechelen’s 2007 edition again focuses on little-known Flemish music. Excellent, though rarely performed, music by composers, who worked in Brussels and Flanders at the time when Charles of Lorraine was Governor of the Austrian Netherlands (1741~1780), will be revived by a bunch of highly talented musicians. Of course, Mechelen will also pay homage to its musical ancestors, with its highly acclaimed Beethoven cycle and a concert series inspired by Paul Collaer’s ideas. Flanders Festival-Mechelen, by the way, not only covers the eponymous city but several locations throughout the province of Antwerp (with the exception of Antwerp city), with about twenty concerts that to be staged in collaboration with local partners. Thus, if you can’t go to the Festival—just let it come to you! Flanders Festival Flemish-Brabant is set for a series of over 30 concerts to be held between mid September and late October 2007. The province’s main city, Louvain, plays host to the “Novecento” cycle, with 20th-century masterpieces performed by the likes of Leif Ove Andsnes and the Zehetmaier Quartet. True to its tradition, TRANSIT will again become Louvain’s gathering place for 21st-century music lovers, with an impressive series of creations.